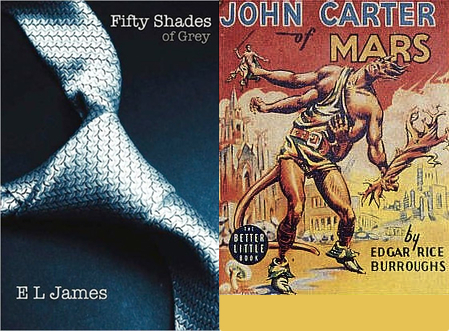 After Fifty Shades I plan to read the John Carter Barsoom series. I just watched the movie last Friday and holy hell, it was horrible! I like the premise though, so I'm looking forward to see how it originally rendered on print. What are you poring through these days? And this is the part where I segue into makeup. Haha! 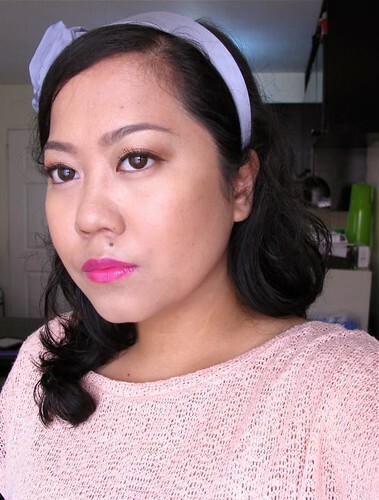 I recently got my hands on the Beauty UK Lip Vinyl in Pure Pacha (P250 from The Makeup Suite). Long story short, I love this stuff! It's a liquid lipstick that's intensely pigmented without feeling thick or waxy on the lips. I'd say it has a watery texture that glides on smoothly. The lasting power is very good at 4-5 hours before it starts fading. Eating or drinking won't completely erase this, even; expect to see a strong stain left over. My only concern is that since it's so pigmented, it has a tendency to bleed around the lips. Tip to avoid bleeding: just apply the thinnest possible layer, blot, then apply another layer to top it off. I like the neat applicator since you get to control the amount of product you want to use. There's no wastage and no mess! The color I have, Pure Pacha, is a pretty blue-based fluorescent pink that's quite in-your-face. Love it! I'm really into loud lippies if you don't know yet. :P The finish is glossy without the stickiness of gloss. 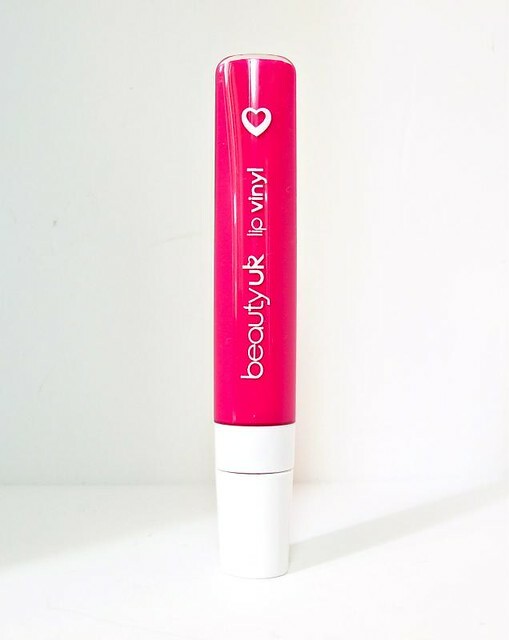 Overall, the Beauty UK Lip Vinyl in Pure Pacha has a lovely, long-lasting formula that feels nice on the lips. 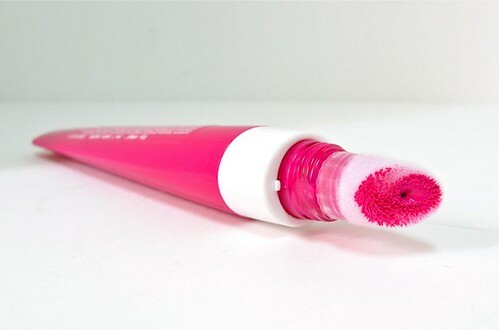 You should definitely try this if you're looking for a dirt-cheap loud pink to experiment with!